If your siding is in need of repair or replacement due to poor installation, contact the experts at EMA Construction. 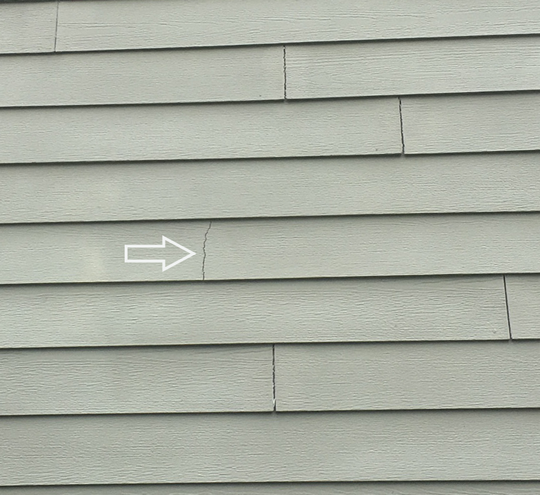 EMA Construction has been encountering more issues, like cracks in fiber cement siding shown in the image, to repair. James Hardie produces the most popular fiber cement siding and related products on the market today. Homeowners are often more satisfied with James Hardie siding than not, but the ones who do run into issues is typically because of a poor installation job. When properly installed, James Hardie siding has a lifetime, non-prorated warranty of 30 years. James Hardie is a premium fiber cement siding product and a good portion of the cost is associated with the labor when installing. 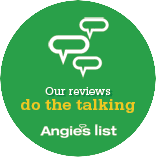 For these reasons, a knowledgeable siding contractor is recommended, like EMA Construction, and preferably a member of the James Hardie Contractor Alliance Program. 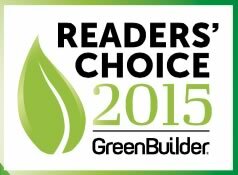 As a member, EMA Construction has proven compliance with installation best practices. 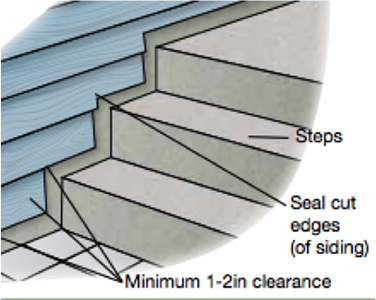 1/4” flashing clearance between siding and any horizontal flashing. Do not caulk in these areas. Roof, window, or door flashing should be properly installed and lapped so moisture drains down and to the exterior when installing James Hardie siding. Proper size of the nails should be 6d or siding nails. Nails must be driven in straight (not over-driven or under-driven). One of the most crucial aspects of the installation process of any siding is around the home’s windows and doors. 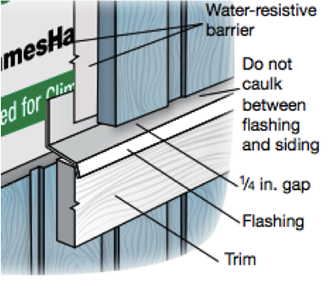 First, when installing James Hardie® siding, make sure a drip cap is installed over the window. 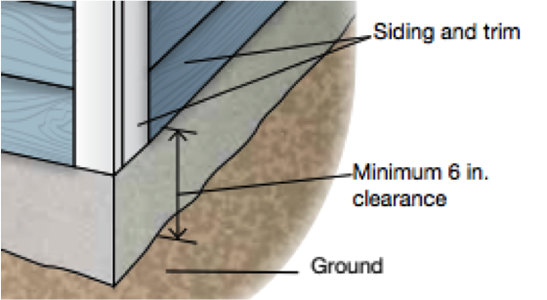 A 1/4” gap should be left, without caulking, between the window and the plank or board directly on top of it so any water that may have seeped behind the siding can get out. This practice should be followed for the tops of doors as well. If your James Hardie siding is underperforming it may need repair or replacement. Contact the certified siding experts of EMA Construction in Cincinnati for a free inspection and quote. We will inspect your home’s siding and make recommendations so your home’s exterior is as beautiful as the projects shown below. 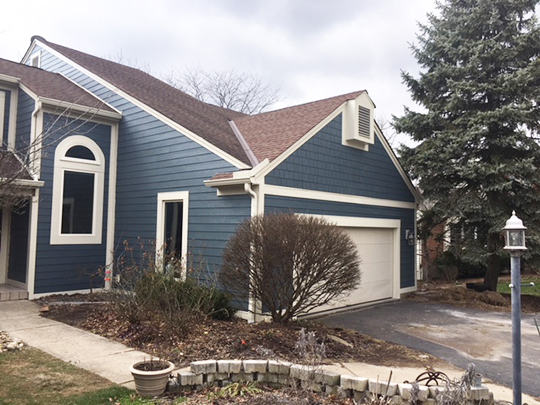 EMA Construction installed James Hardie siding in Blue Ash, Ohio. 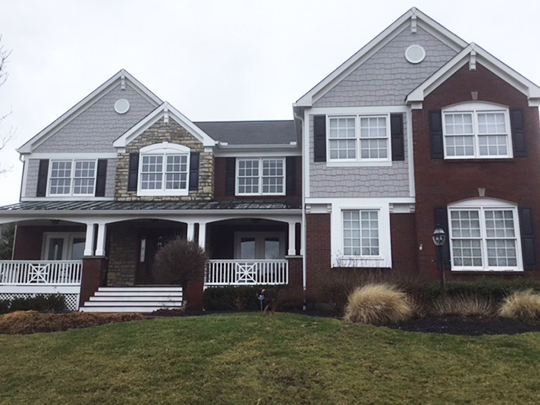 Completed EMA Construction James Hardie project in Kentucky. 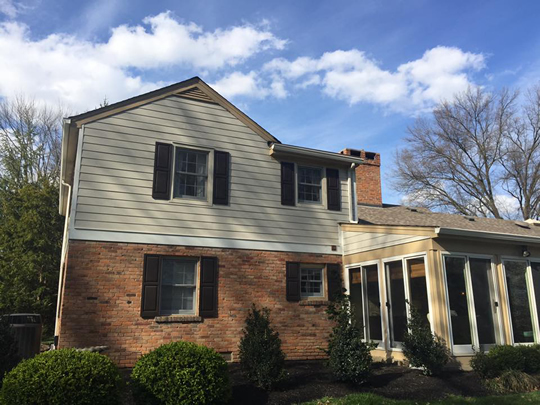 James Hardie professionally installed siding by EMA Construction in Indian Hill, Ohio.